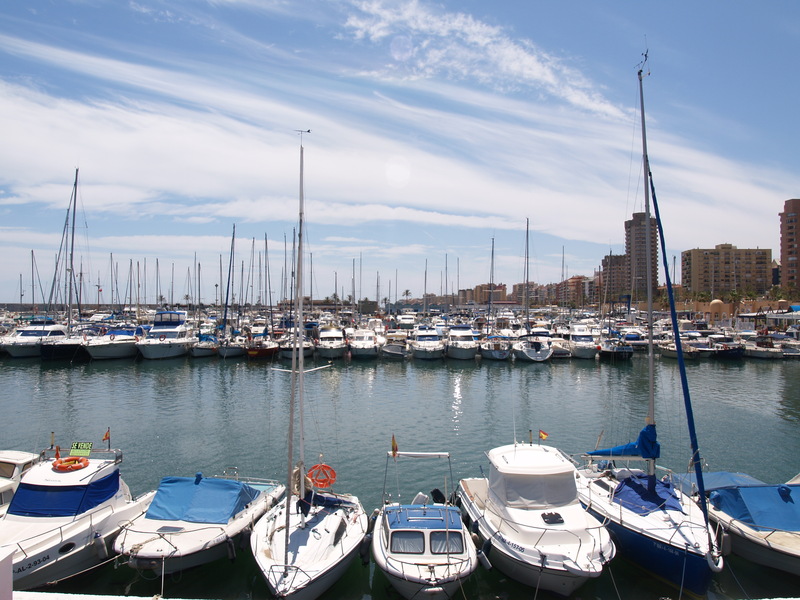 Fuengirola is well-known for its long 8 kilometres of sunny beaches, where we’ll find a wide offer of hotels and apartments with beautiful views over the Mediterranean sea. Fuengirola has the longest seafront promenade in Spain, ideal for a nice walk at sunset and decorated with palm trees from one extreme to the other, flowers and benches to sit down and have a rest, and if we decide to walk to the port we’ll find many leisure boats and enormous yachts, even though it’s not at the same level as Puerto Banus, it’s still a relaxing stroll that you’ll enjoy watching the fishing boats head out to sea. Fuengirola has a great amount of restaurants and typical Andalusian tapas bars, where you’ll enjoy both the rich gastronomy of Malaga and as well as the typical fried fish. We can still find Roman remains in Fuengirola, like thermal baths near Torreblanca, or the ruins of a Roman road with stones obtained from the Mijas quarries...elements of the past that show us the importance Fuengirola had in the antiquity. During the 17th century Fuengirola was conquered by the Muslims who changed its name to “Sojayl” (from there the name of the Sohail castle), which is located on the outskirts of the city, sitting on a hilltop overlooking the see, of Roman origin and restored by Abderraman the third. Sohail Castle is most likely of Roman origin although it was restored in the Tenth Century by Abderrajman III under the Moorish reign of Andalusia. 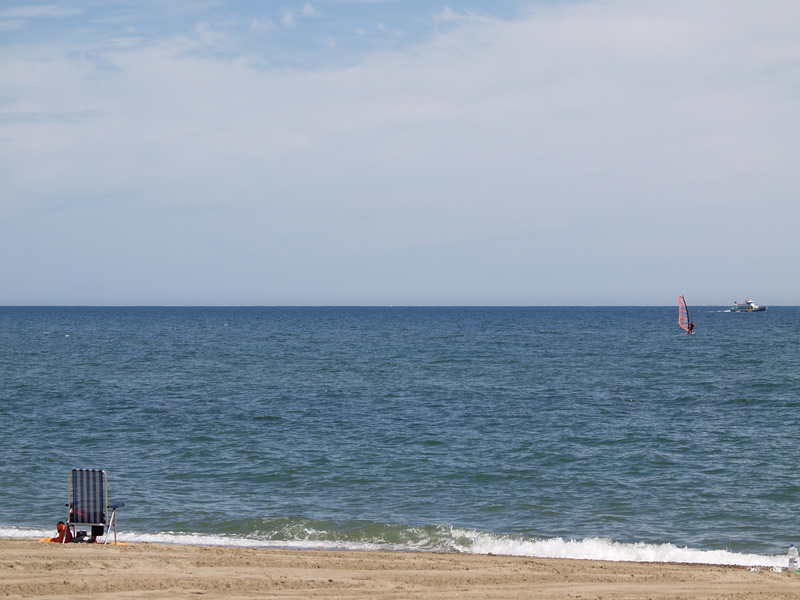 In Fuengirola, in the heart of the Costa del Sol, we’ll find excellent beaches to cool off or sunbathe, plus on these beaches we can practise many sports as well the use of jet skis: Los Boliches, Las Gaviotas and Torreblanca and most of them have toilets, open-air showers to rinse off the sand and salt, and coastguards during the whole summer season. 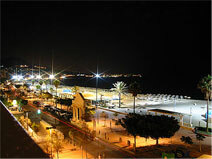 If what you like is to go out partying, Fuengirola’s nightlife is very lively with plenty of places to choose from. Most of the pubs, clubs and discos are located on the seafront by the port. If you’re travelling with kids, they’ll surely appreciate a visit to the Fuengirola Zoo, that hosts a wide variety of different species from the animal world, where the kids and yourself will thoroughly enjoy this great experience. A daytrip to Biopark in Fuengirola is highly recommendable if you want to have a good time. Every Tuesday, the "Fuengirola Market" takes place in the town’s fairground and opens early in the morning till about 3pm. It’s actually one of the biggest open-air markets in Malaga and on the Costa del Sol, and attracts both visitors and locals. It’s worth a wonder round to check out the wide variety of merchandise that’s on sale, from clothing to fake watches of famous brands, to products made in Andalusia. There is also another second-hand market on Saturdays and a similar one on Sundays in the far end area of Fuengirola just before the river that separates the town from the castle hill. For the locals, life continues in Fuengirola, the fishermen set out to sea everyday, the same way they did when it was only a small fishing village many decades ago. The Rosario Fair in Fuengirola is also worth highlighting, that starts in October in honour to Our Lady of the Rosary, the town’s Patroness. The fair lasts about a week in which there’s a parade of horsemen, they enclose heifers and carry out several singing festivals. the fair brings us back to its stockbreeding origins and celebrates a national competition of horse-drawn carriages. The Fuengirola Zoo is famous for hosting a natural environment for the animals. You’ll find a replica of a tropical forest, with exuberant vegetation, rivers and waterfalls...you’ll see crocodiles by the shores of the river Nile, Sumatra tigers bathing by the Angkor Wat, lemurs playing around an ancient Baobab tree and, if you dare, bats flapping their wings in abandoned mines. There’s a forest clearing where you’ll see birds and mammals living in their natural habitat. They do 2 tours per day – one in the mornings and one in the afternoons. Perhaps one of the most important innovations in the zoo is the opportunity to go for a walk under the moonlight through the African and Asian jungles, and surprise yourself with the endless amount of animals that live there. There’s extra fun for the kids, with a great games area, including a miniature farm. And there’s no problems whatsoever for those with any kind of disability as the zoo is mainly flat, and free of architectonic barriers. The weather in Fuengirola is excellent. Fuengirola is a town on the Costa del Sol on the southern coast of Spain. 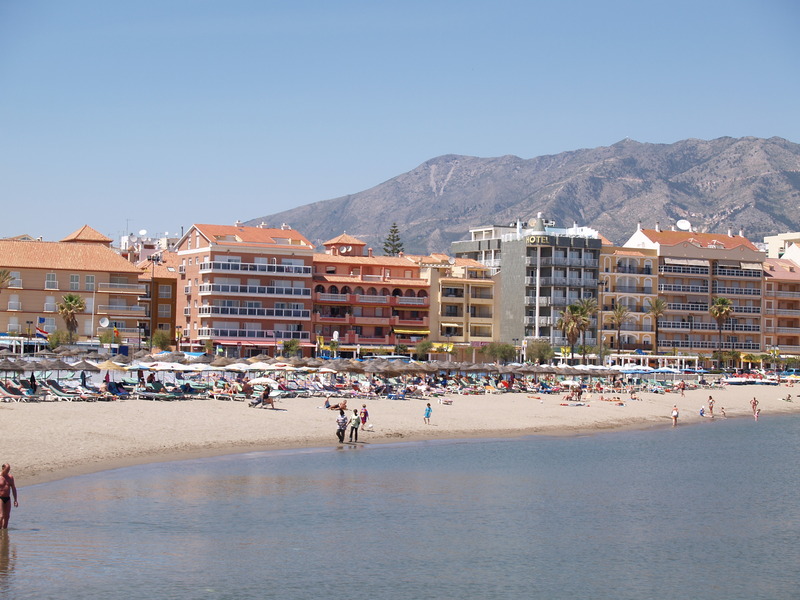 Fuengirola has over 2800 hours of sun a year with an annual average temperature of 19.3 degrees Celsius. Fuengirola is situated between Marbella and Torremolinos, 26 kms to the west of Malaga Airport and approximately 25 minutes away by car. We hope this map of Fuengirola is useful to plan your trip to southern Spain. Use the controls to move around this Fuengirola map and the zoom tool to enlarge the map. You can also change the type of view of the map, to satellite or terrain. 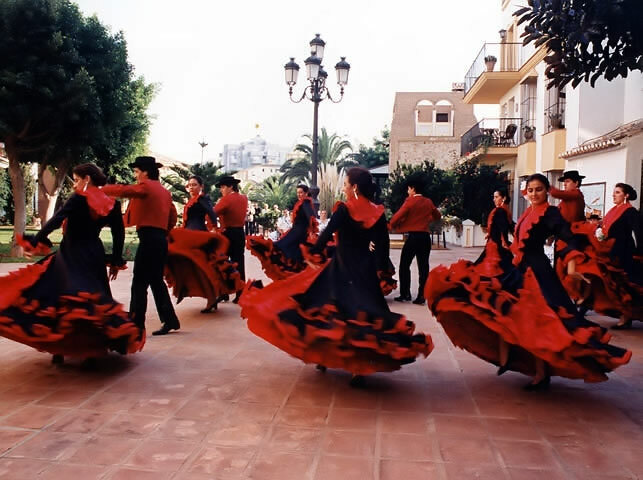 Fuengirola use to be the option for many tourists looking to spend their holidays on the Costa del Sol. Fuengirola is 24.8km to the west from Malaga airport, and there are many transportation methods which can get you there in around 28 minutes. 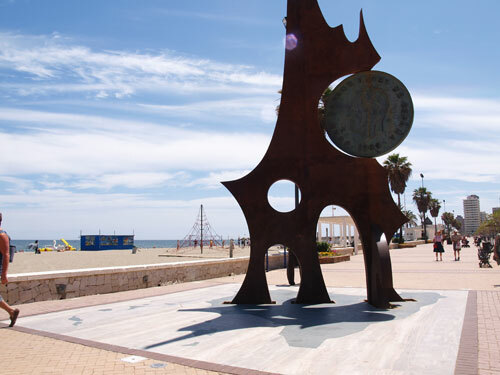 Taking a bus from Malaga airport to Fuengirola may not be the most convenient method of transportation if you have a lot of luggage; there are a few bus stops in Fuengirola and it could take a little longer than 28 minutes to get to Fuengirola. Taxi at Malaga airport to Fuengirola for 24 Euro aproximately. Trains from Malaga airport to the center of Fuengirola every 30 minutes. Its accesible by crossing the bridge out of the airport. Car hire in Malaga may be a nice and cheap option if you also plan to visit Malaga and Fuengirola surroundings. 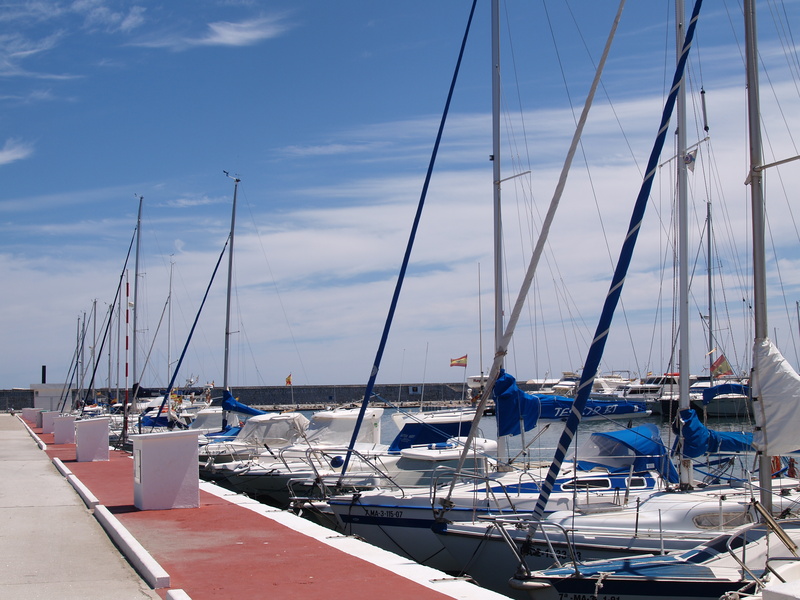 Transfers to Fuengirola is a fast and confortable way for going to Fuengirola if you don´t need to rent a car. Continue reading in how to get to Fuengirola ,it could be of help if you are looking for the road route, and if you still have questions like how to go to Malaga airport from Fuengirola don´t hesitate in contacting us in the Malaga transportation forum. 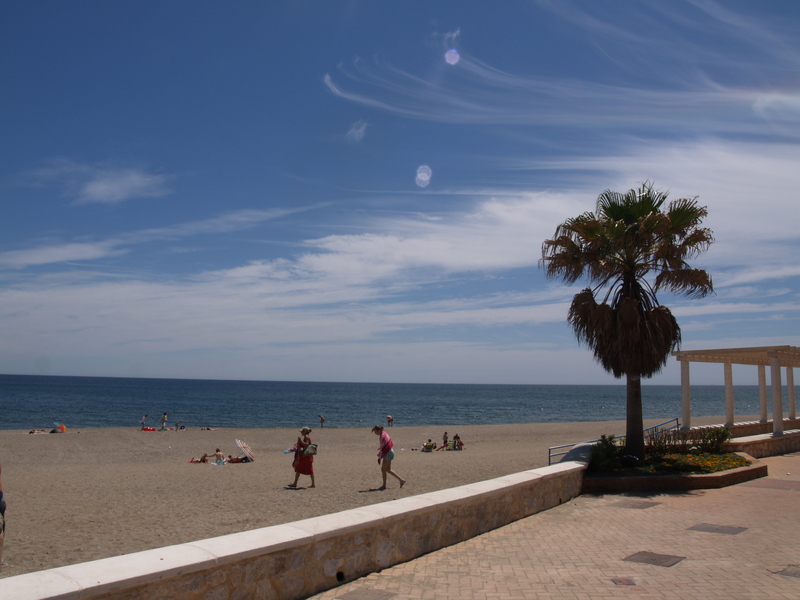 There are 7 main beaches in Fuengirola: Carvajal, Torreblanca, Las Gaviotas, Los Boliches, San Francisco, Santa Amalia and El Egido. The ones worth highlighting are probably Santa Amalia and Los Boliches. Santa Amalia is about 1400 metres long and has an average width of about 20 metres. It’s located in an urbanised area, it has quite a high occupation ratio and a promenade. Calm waves. It has a coastguard team, warning signs, a first aid hut, a rescue team and local police hut. Easy access both walking and by car, it has a parking lot and facilities for the disabled. Easy to reach by bus or by train. It has a tourist office, showers, public telephone, wastepaper bins, sunbeds, sunshades and pedal boats to hire, cleaning service, access lanes and a nautical club. Los Boliches is about 1000 metres long and has an average width of about 40 metres. It has a high occupation ratio, located in an urban area with a promenade. Calm waves. It has a coastguard team, warning signs, a first aid hut, a rescue team and local police hut. Easy access both walking and by car, it has a parking lot and facilities for the disabled. Easy to reach by bus or by train. It has a tourist office, showers, public telephone, wastepaper bins, sunbeds, sunshades and pedal boats to hire, cleaning service and access lanes. 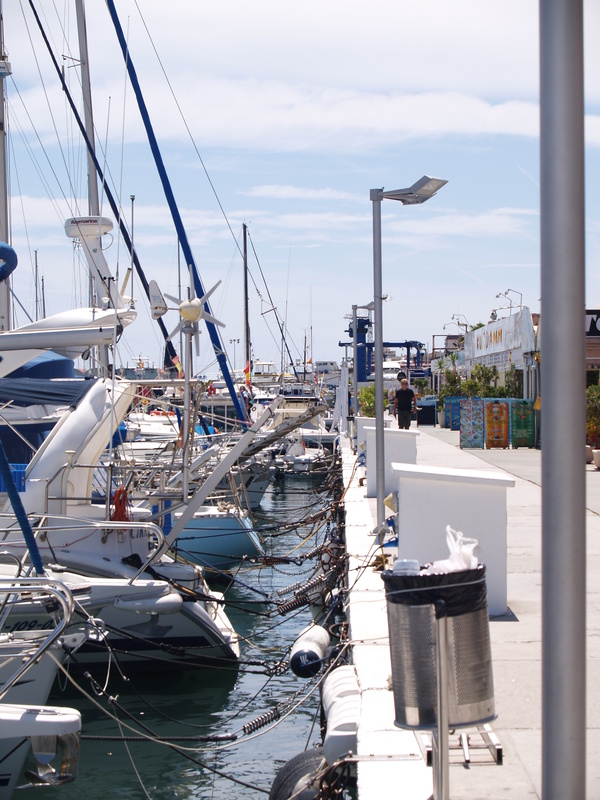 Pictures below are some of the images you can find in our Fuengirola Pictures gallery. Whilst most restaurant menus are in Spanish and English (at least), attempting a few words in Spanish will endear you well among locals. Tipping in Spain is neither obligatory nor strictly by percentage. Generally a tip is only necessary in restaurants and is at the discretion of the client depending on service and quality of food. 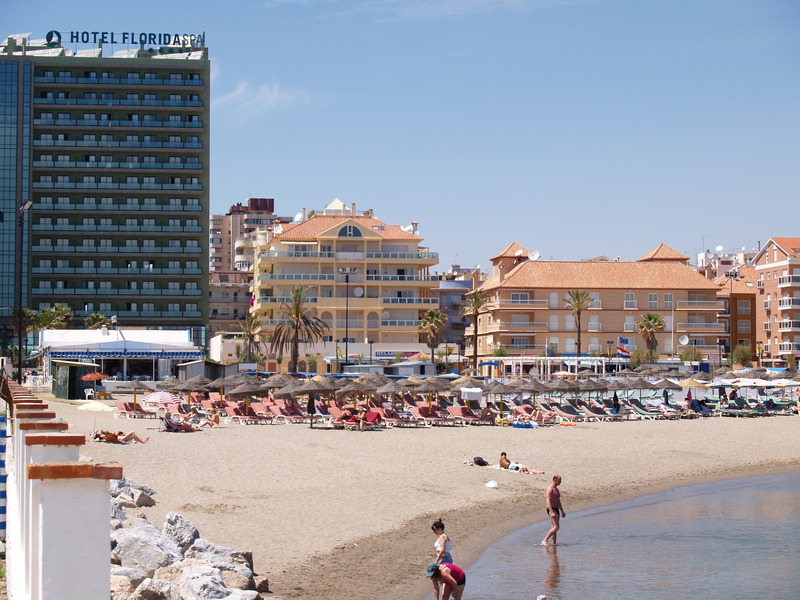 Informative note: The tourists that come to visit Malaga from Ireland, will find their consulate in Fuengirola.